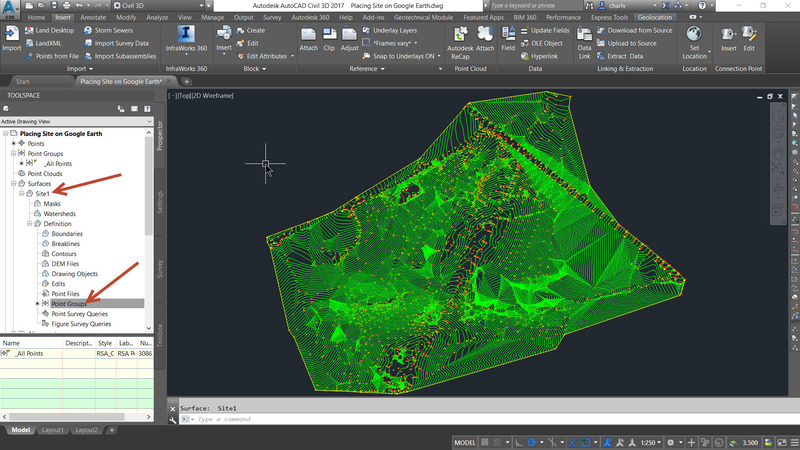 I received a request from a civil customer wanting to validate his Civil3D surface to see if the surface that has been created is correct. 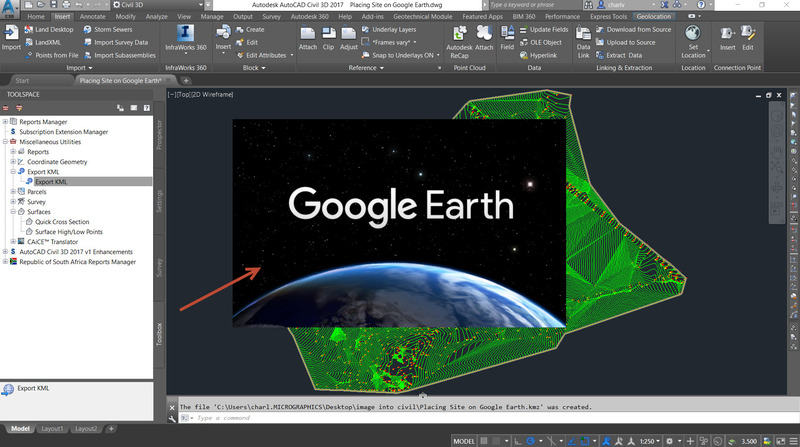 A suggestion was made to superimpose the newly Civil3D created surface onto Google Earth. 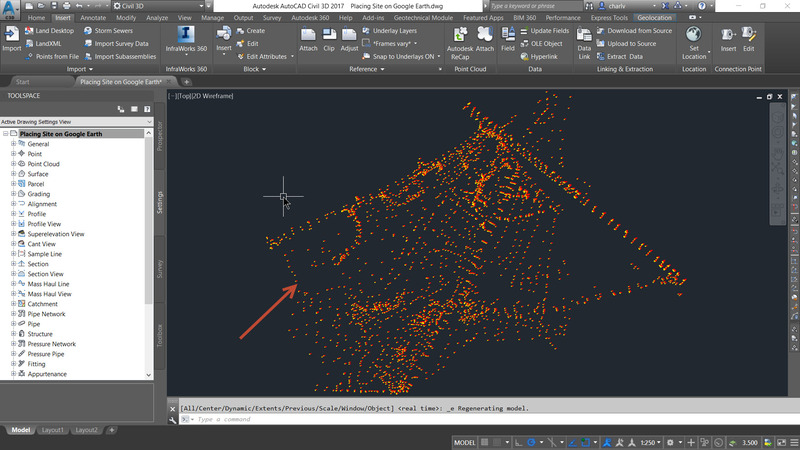 Civil3D had such a feature in previous versions but in the last couple of versions its slightly more hidden. The tool to do this is found in the Toolbox tab in the Toolspace as shown below. 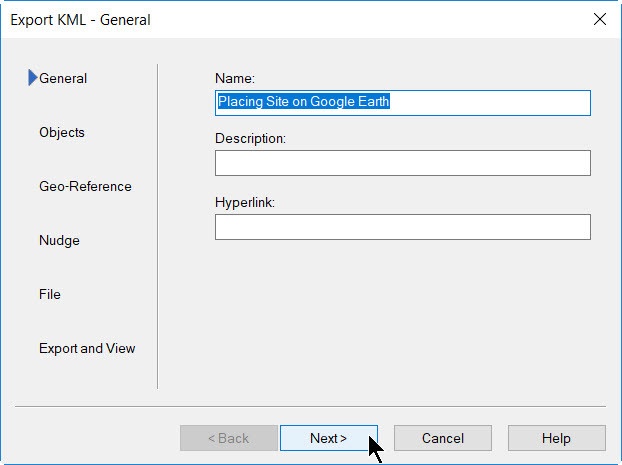 In this blog I’ll take you through the process of creating the surface and exporting it to Google Earth for validation. The first step is to open a new drawing using a template. In this case I used the South African Country Kit template and I saved the empty drawing, giving it a name. 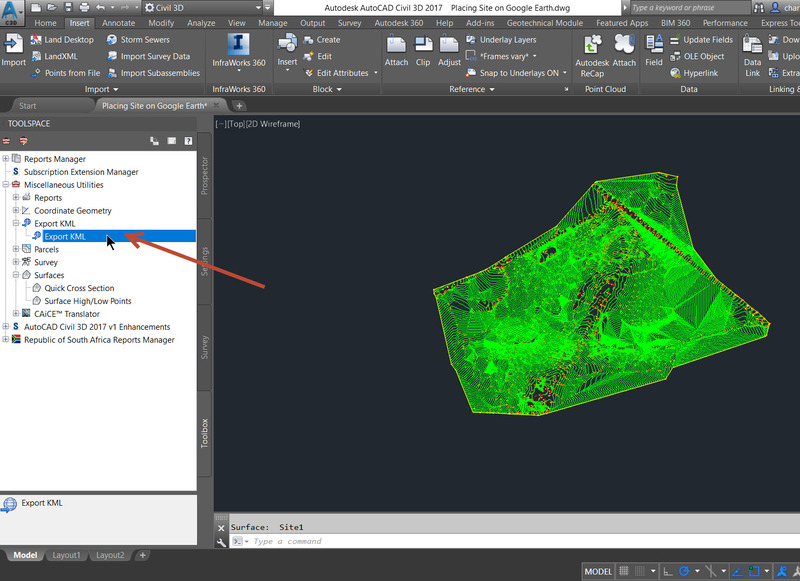 Then go the Civil3D Toolspace and click the Settings tab. 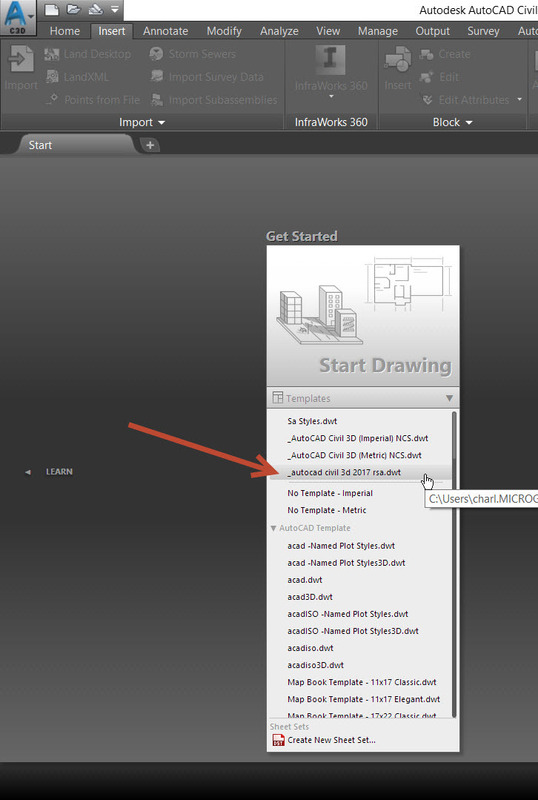 Right mouse click the drawing name and click the ‘Edit Drawing Settings’. This will enable you to set the Country and Coordinate system used which is quote important for the future exporting processes. 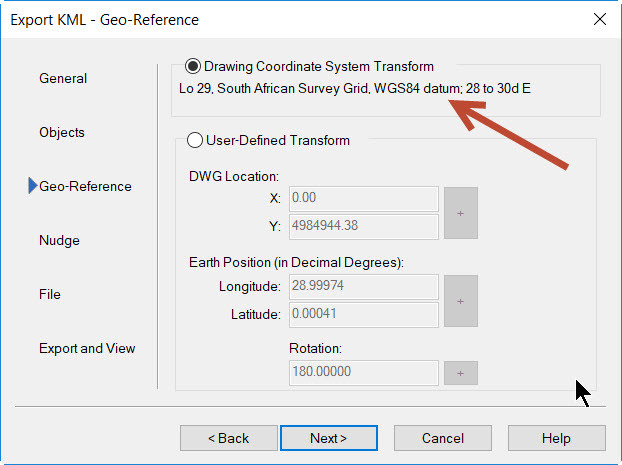 Please note that I set the coordinate system to Lo 29 WGS84 as datum as the survey data and surface I’m going to validate is located in that grid. 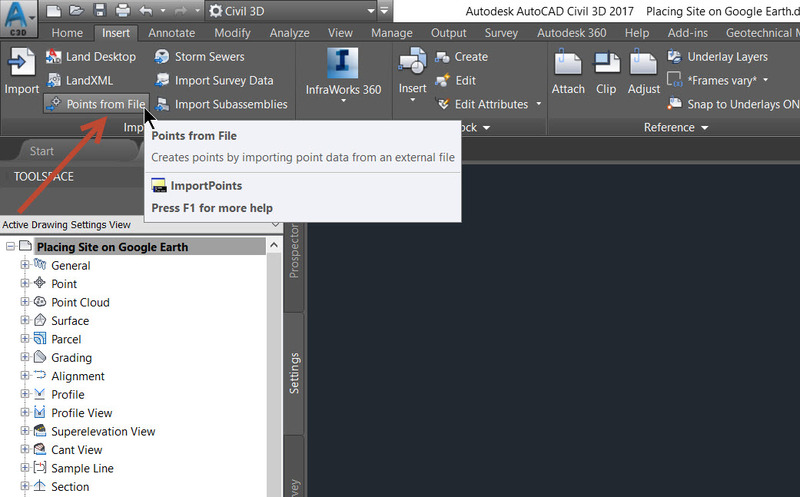 Now that the drawing is set up you can import the survey points by selecting the ‘Insert tab’ and ‘Points from file’. Click the button button and browse to the points file. 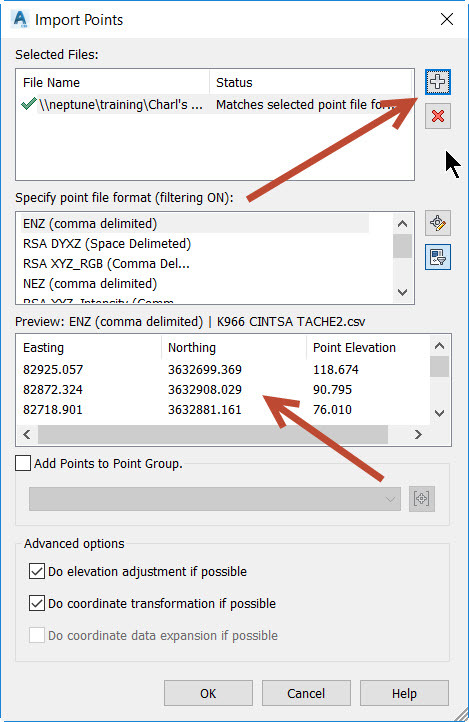 Then select the appropriate point file format if it did not auto-select and click OK. The points should be imported and placed in the drawing area. Just make sure this has been done by double clicking the mouse’s scroll wheel to do a ‘Zoom Extents’. 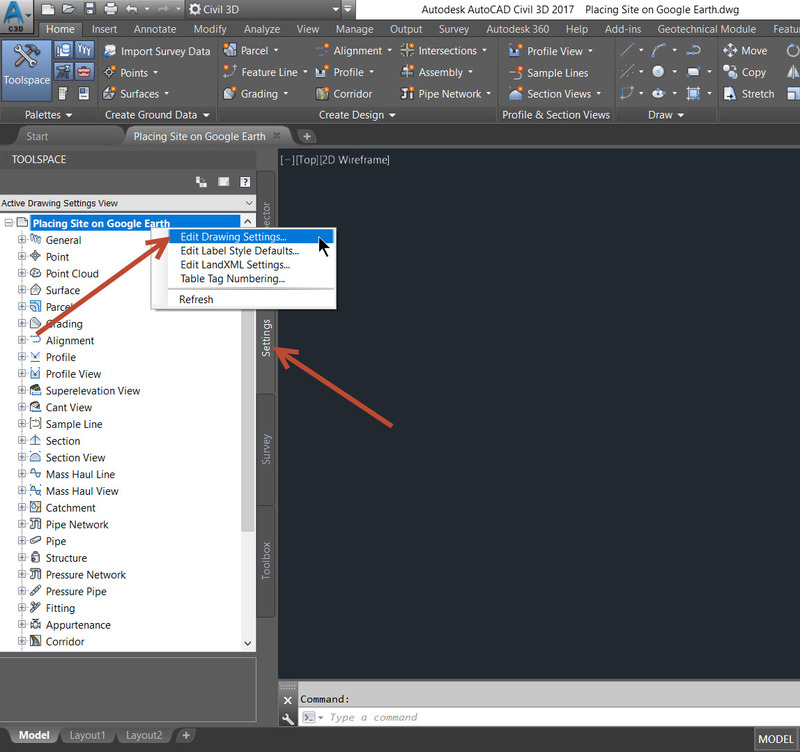 Now create the surface by adding the ‘All Points’ group as the surface definition. 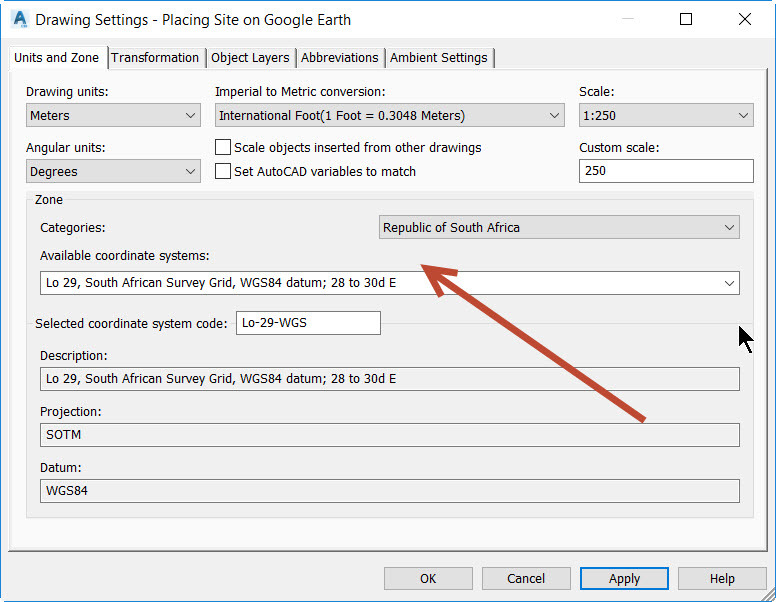 To check if the surface placement is correct you can export it to Google Earth The tool to use is found in the Toolspace and the Toolbox tab. 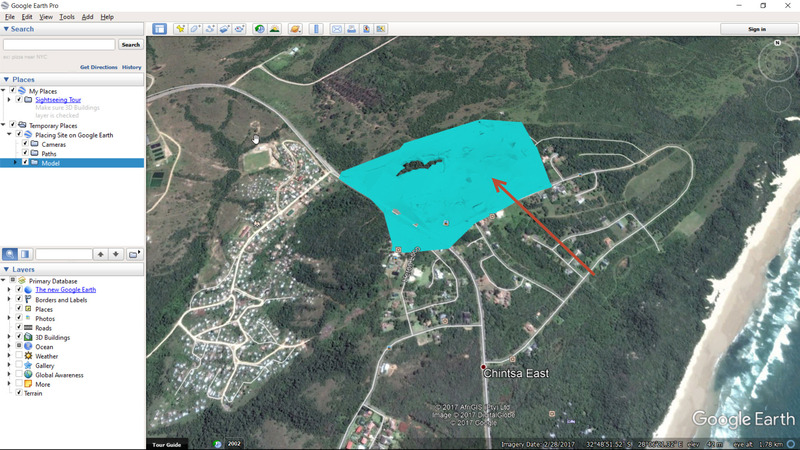 Then Miscellaneous utilities and Export KML. See below. 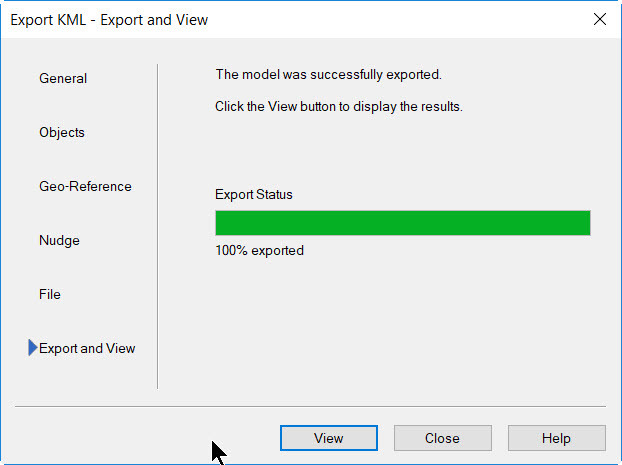 Once the command is initiated an Export wizard is shown in which you can click Next for the first and second pages. Then note in the Geo-referencing part of the wizard the coordinate system we selected in Civil3D earlier has been selected. 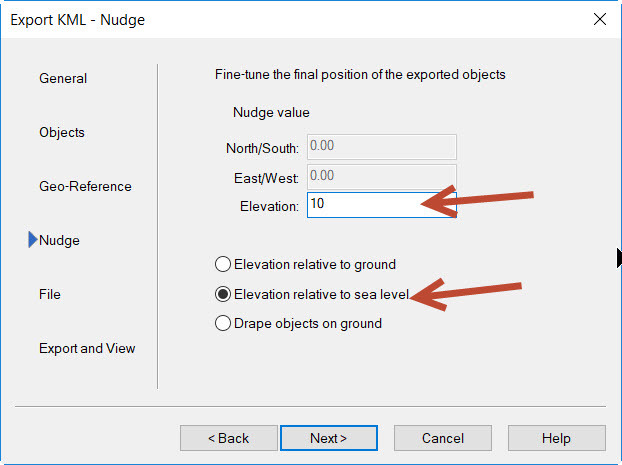 In the Nudge part of the wizard I purposefully added a 10m elevation to the surface so that its slightly higher than the actual Google Earth surface. Click next and then click View to View the Export. Just make sure that you have Google Earth installed before the View command is issued. Once you click on the View button, Google Earth will open and an entry will be placed on the left under your Temporary Places. You can click on this entry and then click on the Model to have Google Earth travel to this model. You will notice that the surface is in the exact place and 10m above the Google Earth surface so we can actually see the Civil3D surface to validate. See below.